Dental insurance is an important investment in your family’s oral health. Patients who are covered by an insurance plan are more likely to engage in the routine preventive care that helps teeth and gums stay healthy and clean for a lifetime. To ensure that you really get the most out of your monthly payments, it is important to visit a dentist who accepts your insurance plan. Dr. Nick Cobb and Dr. Theresa Lassetter of Heart of Texas Smiles are your Cigna dental providers in Waco. Keep reading to find out more about the importance of visiting an in-network dentist -- it’s for the benefit of your smile and your wallet! 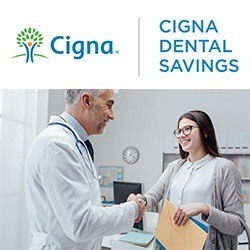 Cigna dental insurance is a fee-for-service plan that requires you to pay upfront for necessary dental services, like basic preventive care and restorative treatments. In exchange for a monthly premium -- which usually ranges around $50 for an individual and $150 for a family -- you could be eligible for up to $1,500 worth of care in most cases. We will talk you through the details of your plan to help you understand how to take advantage of your benefits. What Is Covered By Your Plan? 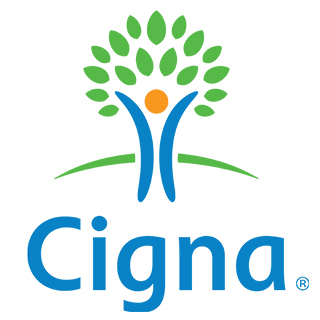 The Cigna website provides clear information about what is covered by your plan, but we have listed it here for your convenience as well. The fee for all preventive services is waived. That includes oral exams and cleanings (two per year), x-rays, fluoride application, sealants, and non-orthodontic space maintainers. You will be responsible for paying 20% of the fee for basic restorative dental care, including fillings, non-routine x-rays, extractions, and emergency dental services. For more major restorative services, like periodontal maintenance, crowns, root canal therapy, wisdom tooth extraction, dentures and partials, and bridges, you will usually be expected to pay 50% of the fee. For anything that is not fully covered by your plan, all payments should be made at the time you receive the service. We will file and follow-up on the claim to ensure we receive the full payment on the backend. Like other dental insurance plans, Cigna insurance fully covers preventive dental care, which is the most important aspect of any happy, healthy smile. When you brush and floss as recommended at home and visit your dentist in Waco every six months for a checkup and cleaning, you are dramatically reducing your risk of developing more significant oral health issues. If a problem does develop, we can catch it earlier to provide more conservative treatments when you visit us regularly. Plus, you are paying for these services anyway through your monthly premium -- so it only makes sense to take advantage of them! Are you and your loved ones covered by a Cigna dental insurance plan? Visit the dentist who accepts your dental insurance in Waco at Heart of Texas Smiles! We invite you to request an appointment for superior affordable dental care today.